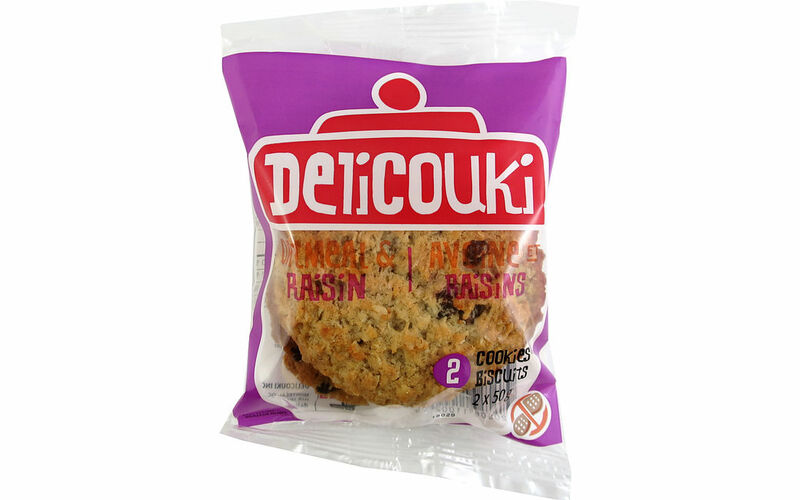 For more than 15 years, the company now known as Delicouki has been celebrating the marriage of tastes in each of their products exciting Quebec’s finest palates. Sometimes gourmand, sometimes healthy, Delicouki’s creations offer a wide range of flavours that will delight little ones and grown-ups. Wheat flour, rolled oats, wheat flour, margarine (canola oil, modified palm and modified palm kernel oils (milk, soy)), sugar, water, brown sugar, raisin, invert sugar, canola oil, modified corn starch, soy lecithin, salt, sodium bicarbonate, natural and artificial flavor, calcium propionate, xanthan gum, guar gum. Contains: milk, soy, wheat, oat. May contain: eggs, sulphites, mustard.